Beware of long band names, and even longer album titles. 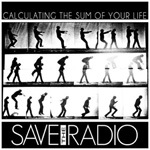 Based on the west coast of Florida Save The Radio has both, with their debut EP Calculating the Sum of Your Life. It's a short five song platter of indie melodic rock. However, I'm not sure how much attention it deserves. With one listen you find a friendly familiarity, even generic quality, to Save The Radio's music. You've heard this before. If not elsewhere on a college play list from another band, but also 15 to 20 years ago, even stealing a footnote from fellow Floridians Matchbox 20. In this sense, Calculating the Sum of Your Life Calculating sounds like everyman's current alt melodic rock music, and something dated. But if you're stuck in the Nineties, you'll like this. Either way you look at it, StR still has good things going for them like strong songwriting, a sense of melody, and good vocal harmonies. Life In Rewind and Add It Up are likely the hardest numbers here, developing some of that post-grunge pop accessibility. 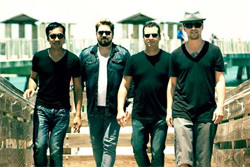 Some real catchy pop rock groove comes with Broken Road, which might remind some of the Goo Goo Dolls of Foo Fighters. The remaining two songs, Higher Than Heaven and As Long As You're With Me, especially the latter, are rather sleepy numbers. For the latter, I walked out of the room for a moment, because the dog was barking like a crazed animal about something eventually trivial, only to return and realized I didn't miss a damn thing. I'm sure Save The Radio will find there place alongside every other band doing similar stuff. What sets them apart, above the rest, better than, will probably take some keen inspiration and hard work. Save The Radio's Calculating the Sum of Your Life calculating the Sum of Your Life sounds like everyman's current alt/indie melodic rock music and something dated.